All good athletes feel at home on their own field or court. They have a comfort level while practicing and competing that is irreplaceable. When Sophomore Nick Sommer goes to practice every day at the Crawfordsville Country Club (CCC), he is actually returning the course he has played his entire life. Sommer grew up in Crawfordsville and comes from a long line of golfers. Sommer’s cousin was an All-American at Purdue who played on the Nationwide Tour and a few tournaments on the PGA Tour. He also has grandfathers who played golf at Purdue and Indiana University. Sommer picked up the sport 12 years ago after the club pro gave him a rare privilege. Growing up, Wabash was a big part of Sommer’s life. In elementary and middle school he went to Wabash football games and always cheered for the Little Giants. However, during high school Wabash was pushed onto the back burner. Sommer never thought he would end up at his hometown college. He even participated with high school friends making fun of Wabash guys. Sommer hopes in the offseason he can improve his consistency and eliminate the days of shooting really high numbers. 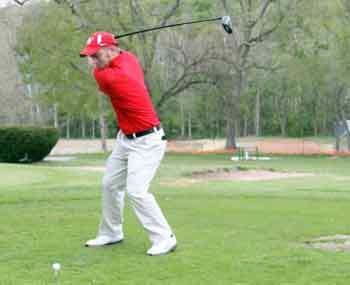 His two best rounds of the year came at the CCC when he fired a 72 against Rose-Hulman and a 73 at the Wabash Classic. This weekend the team will play in the DePauw Invitational at Deer Creek Golf Club.